Are summer salads not the best thing ever?! 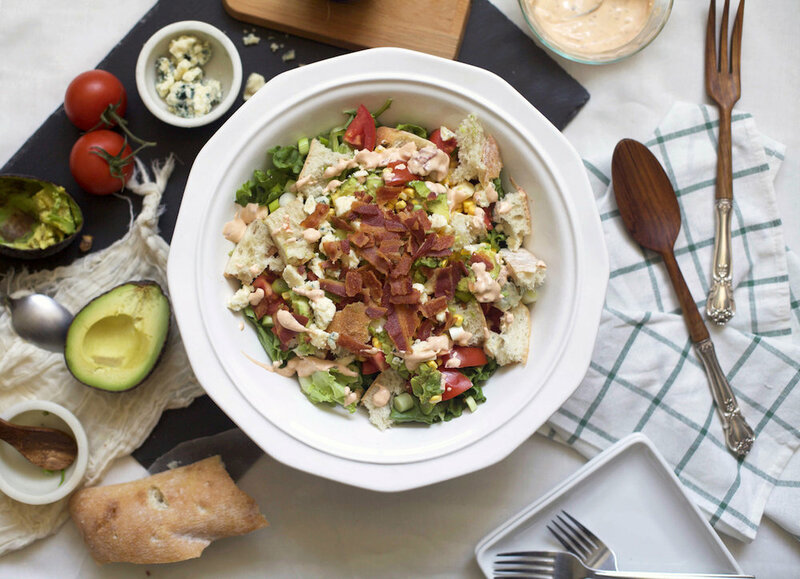 I love that you can throw literally all of summer, fruit, veggies, cheese, meat, seafood, literally all of it, into a bowl and it will come out tasting like nothing but pure deliciousness. And not only that, but the options are limitless. Between pasta, tossed, roasted, grain, bread and everything in-between, you will literally never get bored. A panzanella salad is, at the core, a salad of bread and tomatoes. Many cultures, from Italy to Spain, have some variation of this, each one giving it a different name and their own twist. 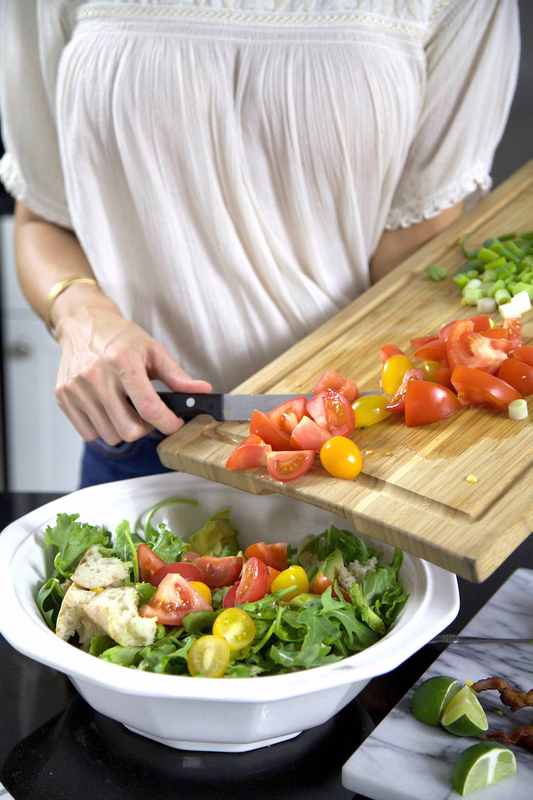 Today, I’m giving this panzanella salad an American twist with the classic flavors of a good ol’ BLT. But don’t get it twisted. 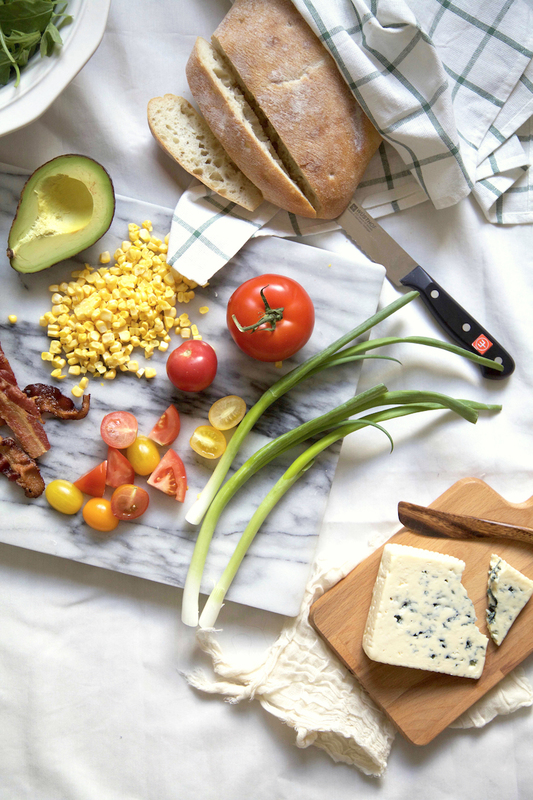 This ain’t yo mama’s BLT. No sir. It is SO much more. Of course, there’s the bacon (DUH! ), lettuce and tomatoes, but there’s also so much more. 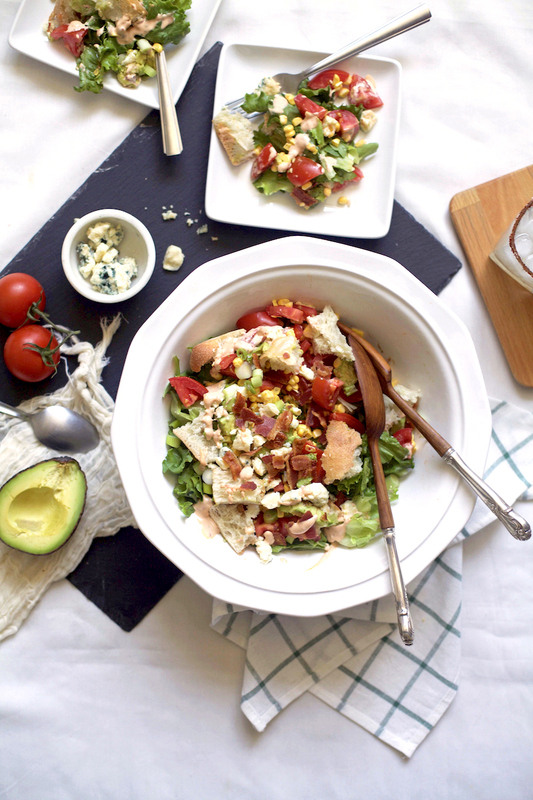 Bleu cheese, herbs, avocado, fresh corn….this salad is just oozing with the flavors of summer. Aside from the flavors that will knock-your-socks-off, this is a great summer recipe simply because it requires little stove/oven time (Yay for creating less heat!) and it can make as little or as much as you want (Perfect for summer entertaining, no?!). 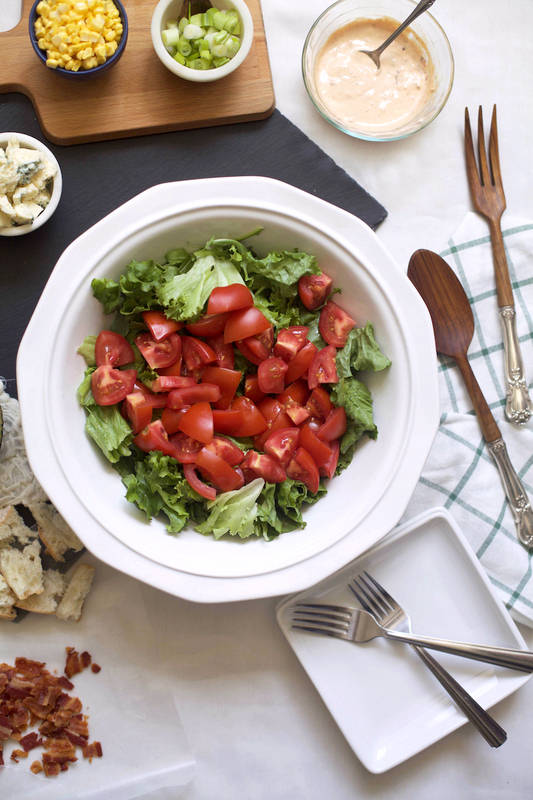 In a serving bowl, layer the lettuce, bread and tomatoes. Sprinkle with the bacon and additional toppings of your choosing. Set aside. 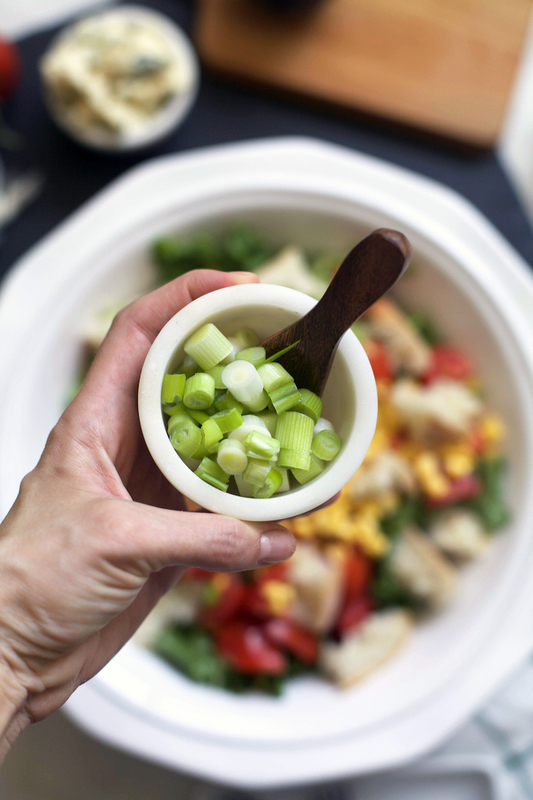 In a separate small bowl, mix up the dressing. Use 1 part mayonnaise to 1 part Greek yogurt and add in chipotle paste to taste. Squeeze in the juice of a lemon or lime and then stir in vinegar until you reach a consistency you like. For example, I did about 1/3 cup each of mayo and yogurt, the juice of 1 lime, 1 1/2 tablespoons chipotle paste, and about 3-4 tablespoons vinegar. 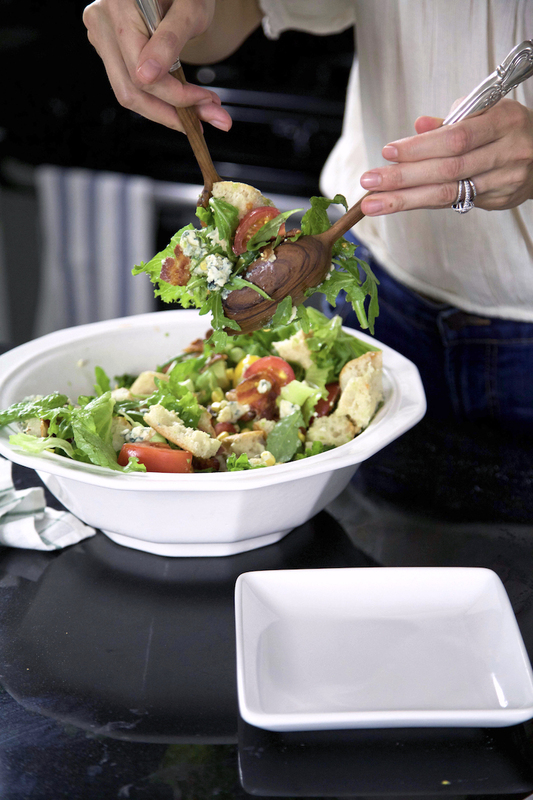 Drizzle the dressing on the salad and toss right before serving. You can store leftovers in an airtight container in the refrigerator overnight, however, they really don't keep the best, so I'd suggest making only what you know you'll be eating. This recipe can be made for as few or as many people as you want/need. I have left exact measurements out as the amount of each ingredient used is completely up to you, your taste preferences and how many you will be serving. I would say for 4 generous dinner-size servings, you would want to use a whole head of lettuce, 6-8 slices of bacon, about 2-3 medium-sized tomatoes and about 1/2 a loaf of bread. Any other toppings I would 1/4-1/2 cup of each of things like corn, avocado and bleu cheese, whereas the green onion and herbs you only need a few tablespoons of.